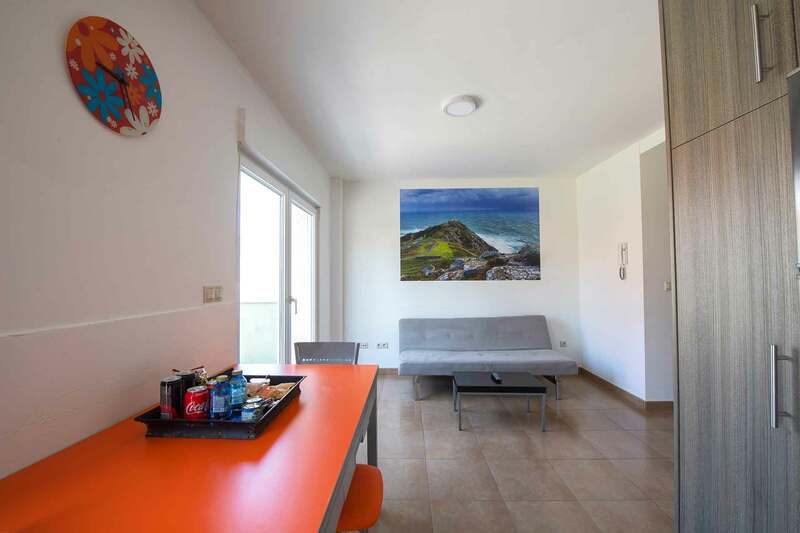 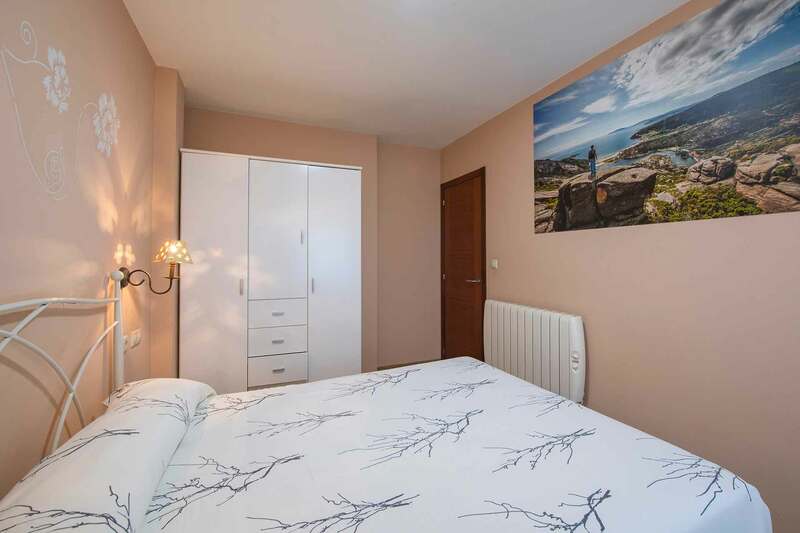 Vida Finisterre apartments are located at the entrance of Finisterre, 30 meters from the famous Playa de Langosteira with direct access to a maritime promenade. 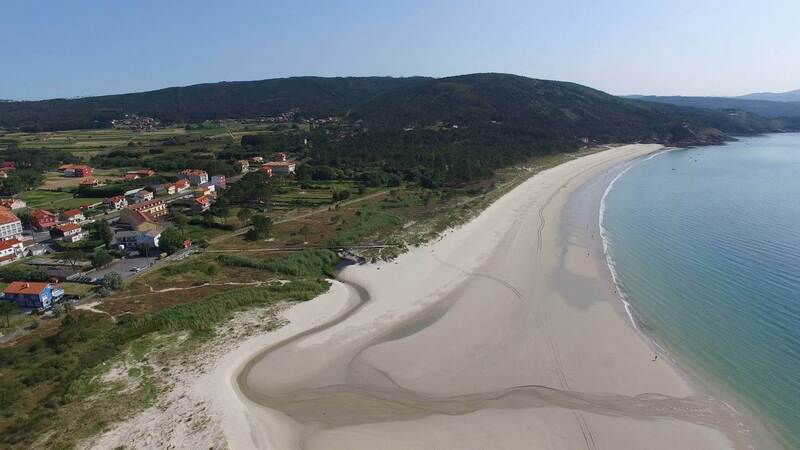 This 2 km long beach has a lovely sandbank and calm and clear sea. 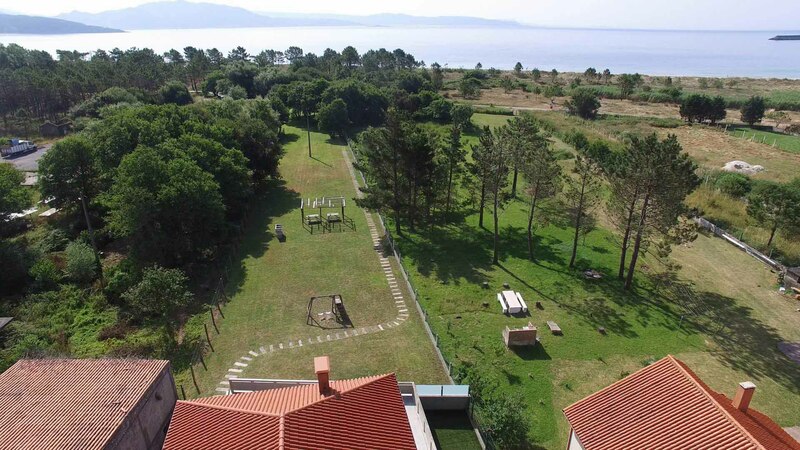 Perfect for those who are looking for complete calmness far from big cities and noise. 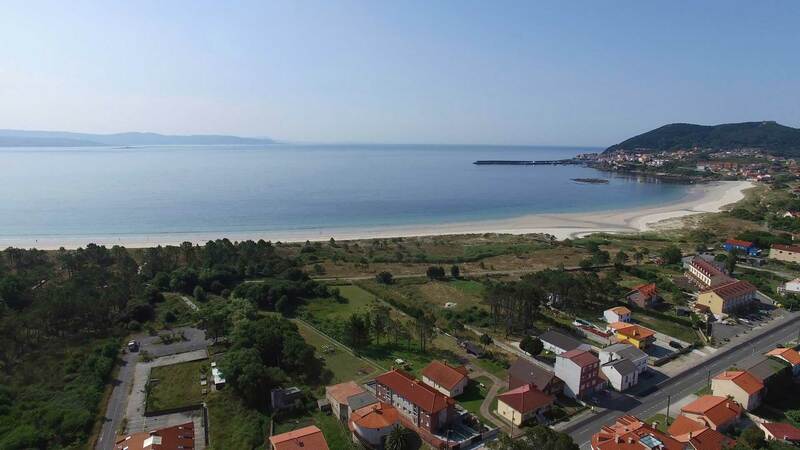 The center of Finisterre, one of the most typical and well-known Galician fishing villages, is 2 Km away. 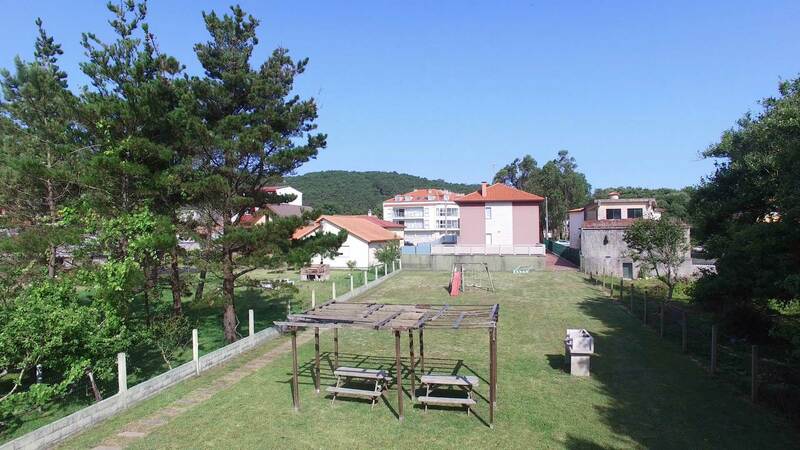 Santiago de Compostela is 97 km far and the city of A Coruña is 108 km far. 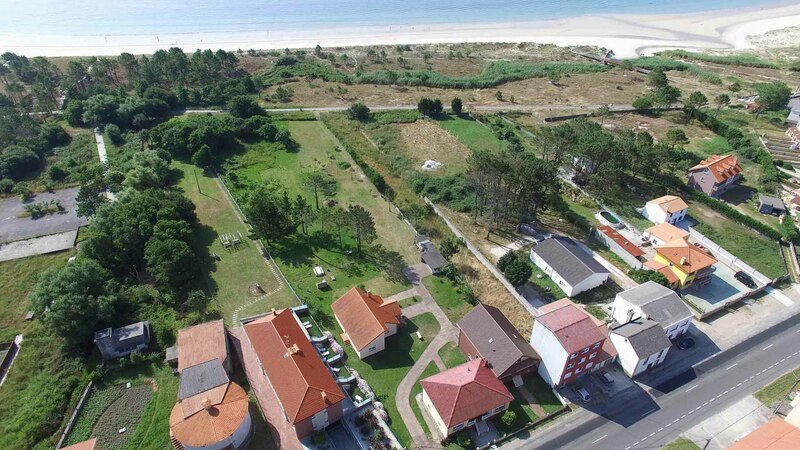 They have a large green area by which we can go to the beach through a private access. 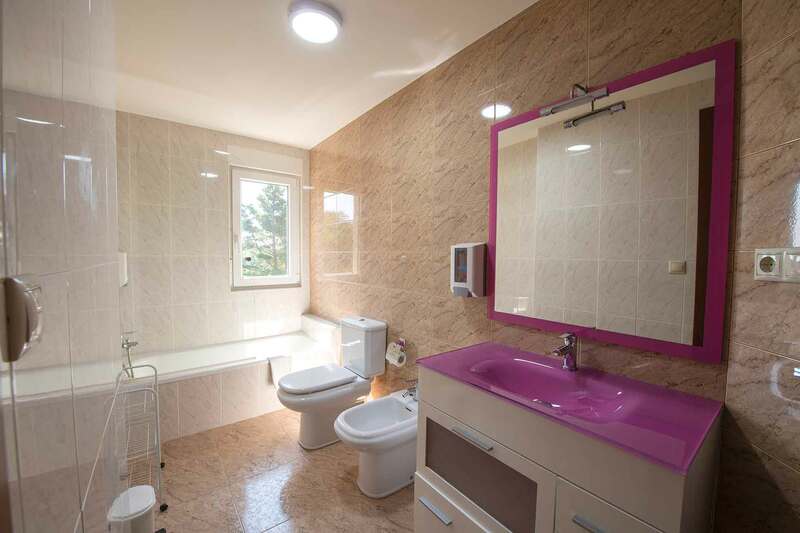 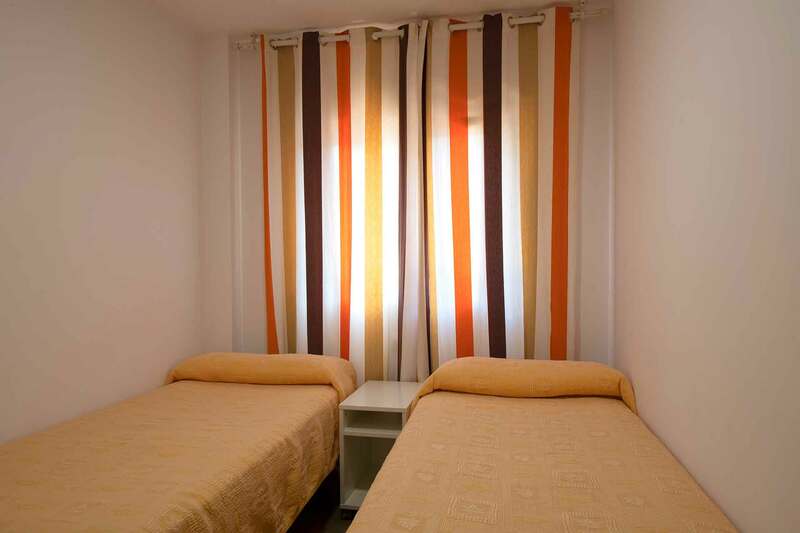 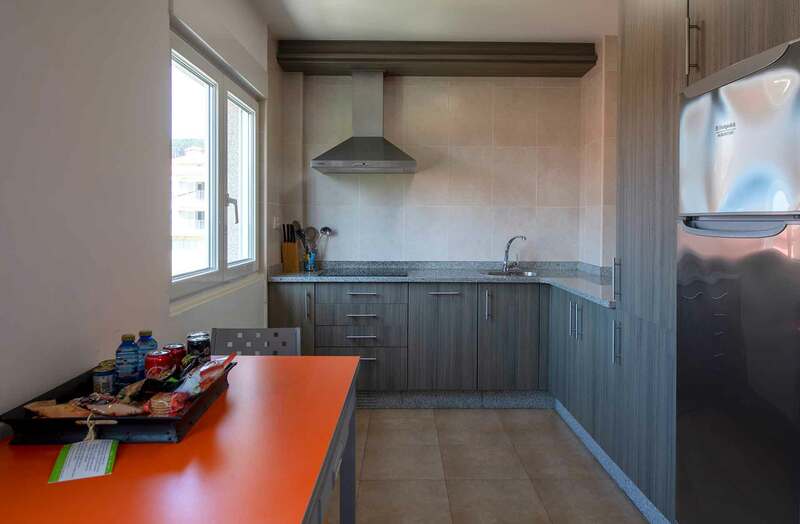 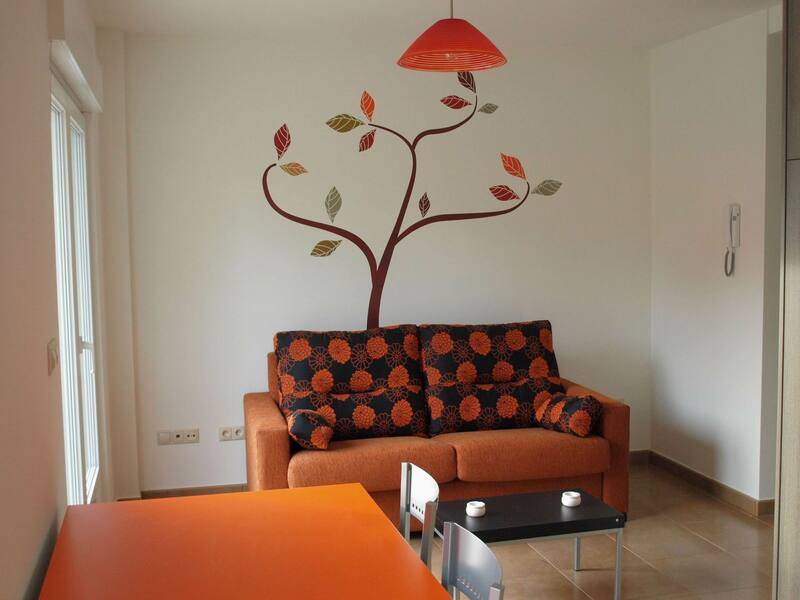 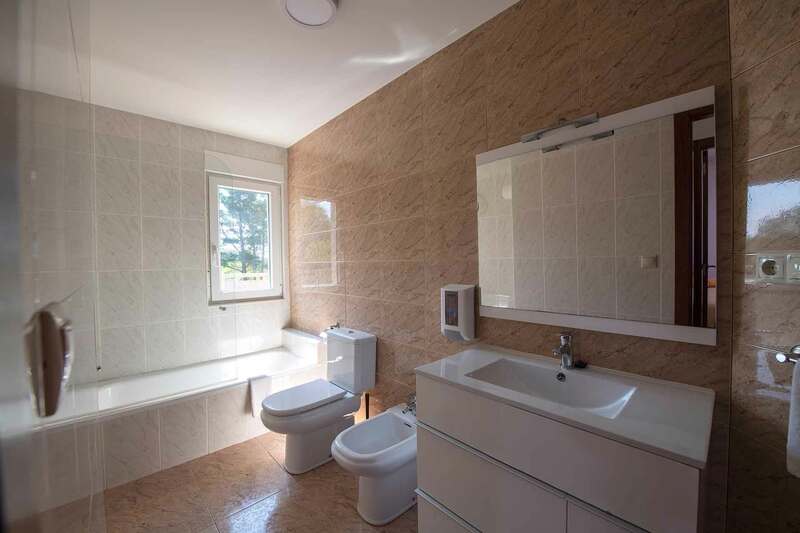 Apartments with 2 double rooms, kitchen-living room with sofa bed and bathroom. 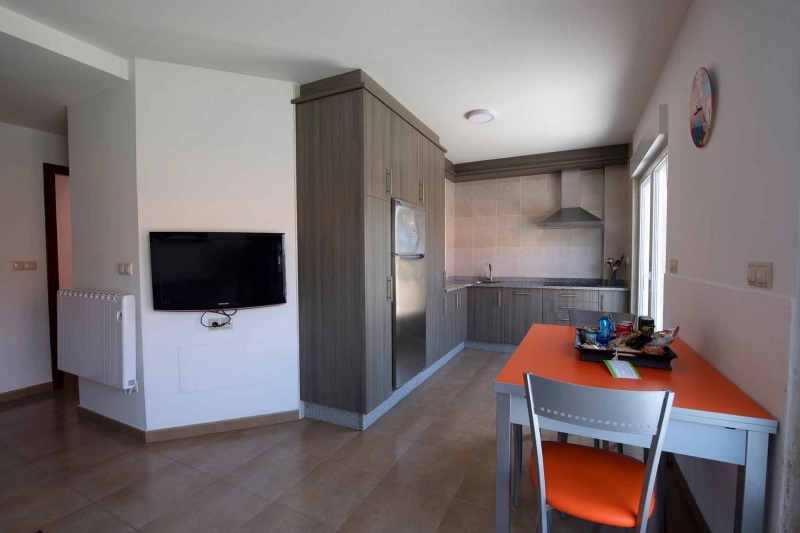 Fully equipped with linens, towels, cutlery, crockery, kitchenware, ceramic hob, fridge, microwave, washing machine, juicer, toaster, mixer, moka pot, iron and ironing board, hair dryer, gel and shampoo dispenser, LCD TV, heating, clothes line, free cots (on request) and free Wifi. 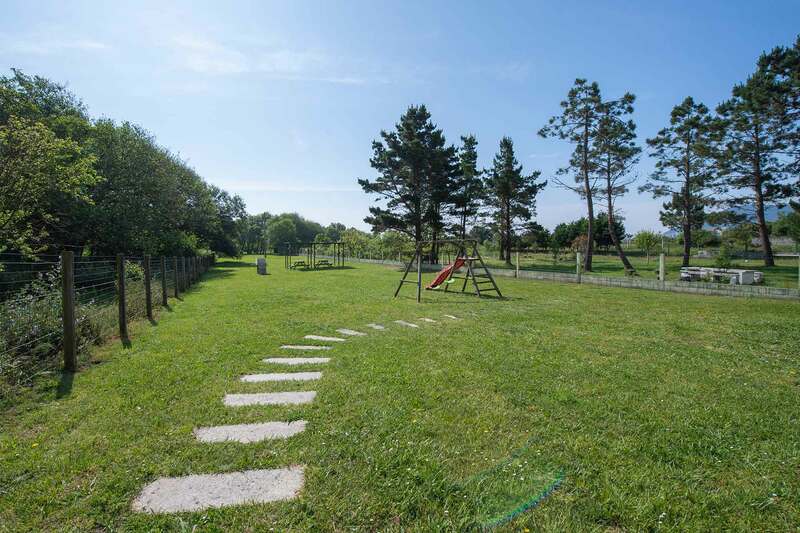 Other facilities included are a private indoor parking (free), a private access to the seaside promenade and beach, a 2000 m2 garden with barbecue and garden tables as well as a playground for children. 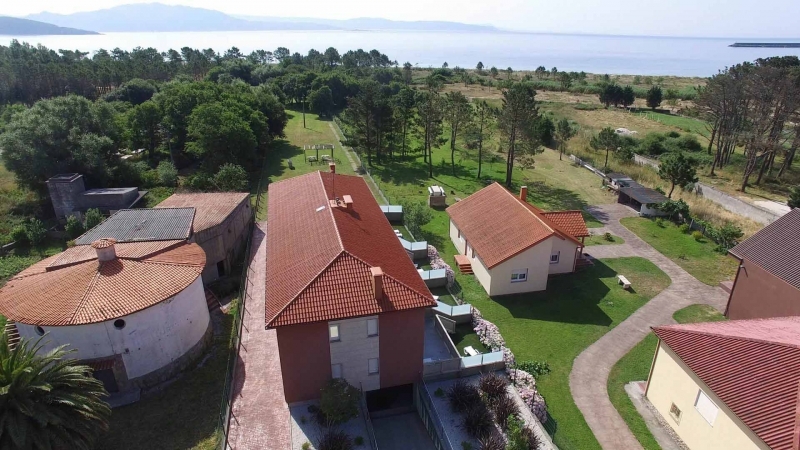 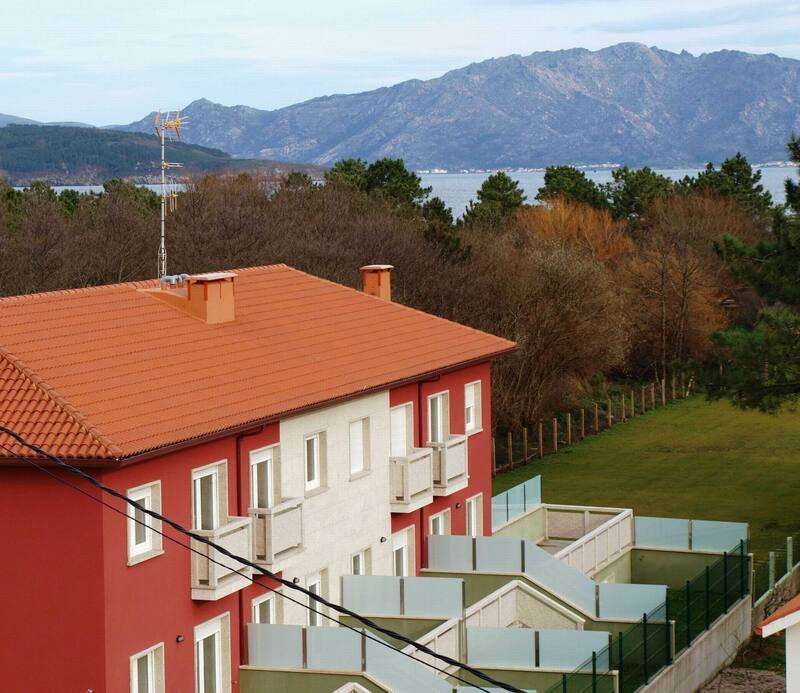 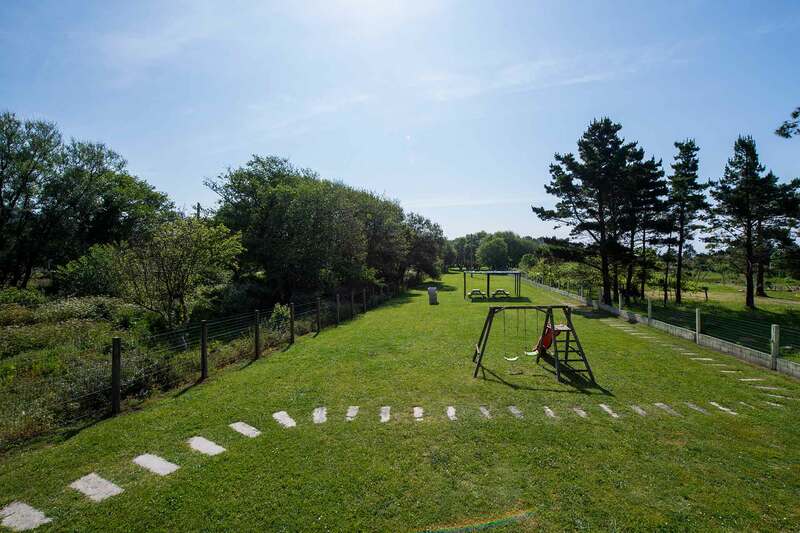 Vida Finisterre Apartments are perfect to enjoy a peaceful and relaxing holiday. 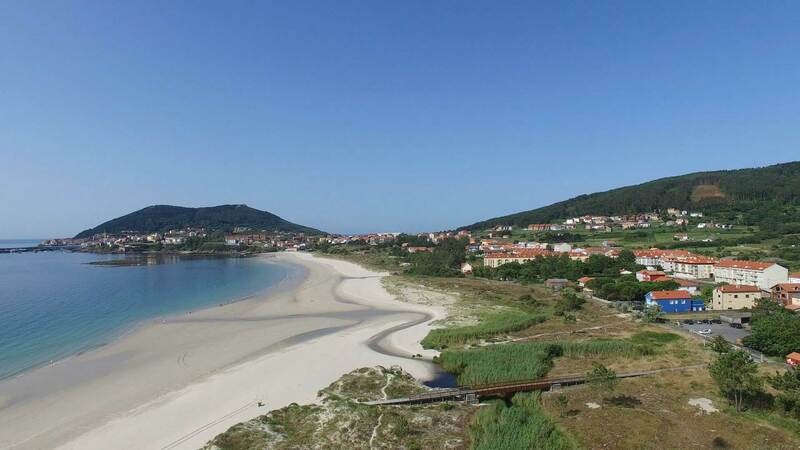 They are located in front of the beautiful Langosteira beach, awarded with a Blue Flag. 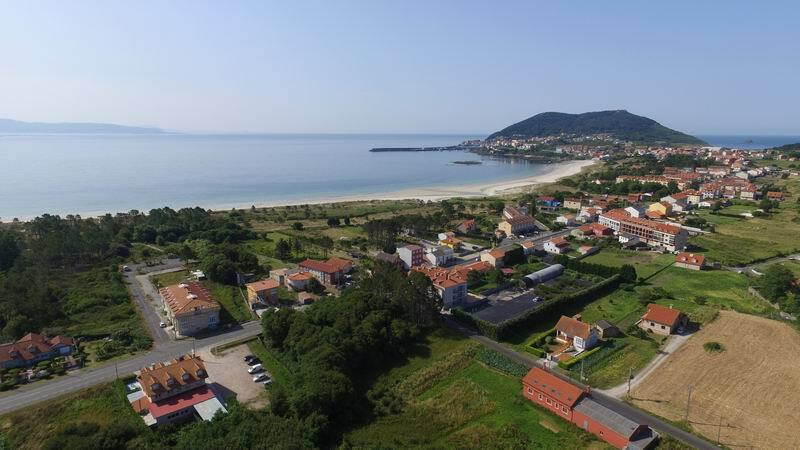 In this two-kilometer beach sea and mountain remain together in a breathtaking scenery, with the seafront promenade and the natural dunes. 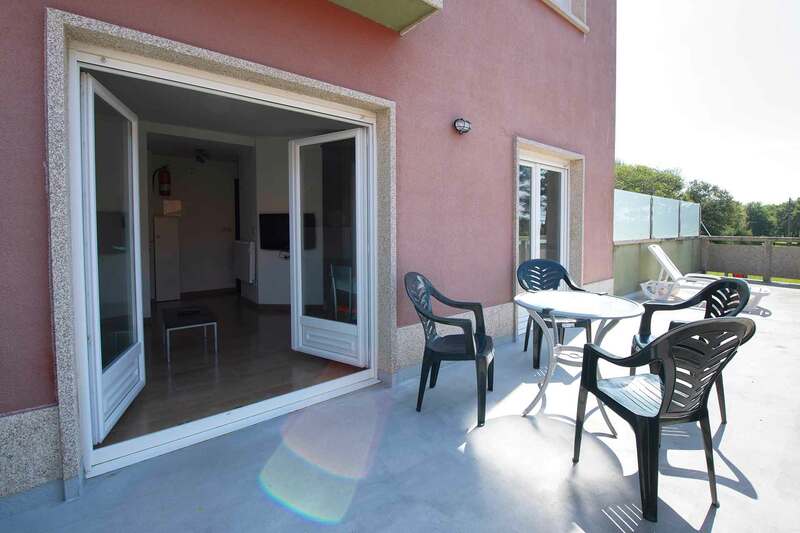 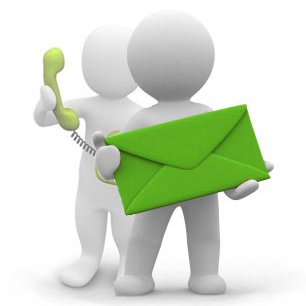 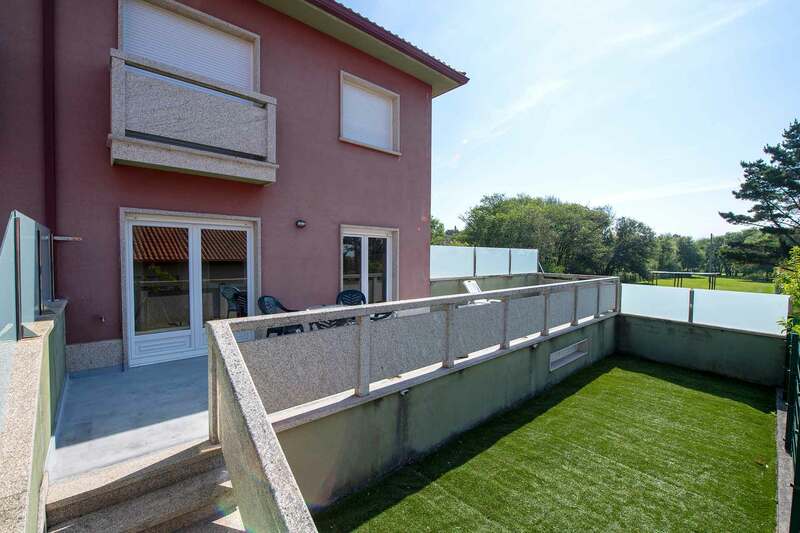 We also want to bring out the private garden that joins the apartements with the beach.